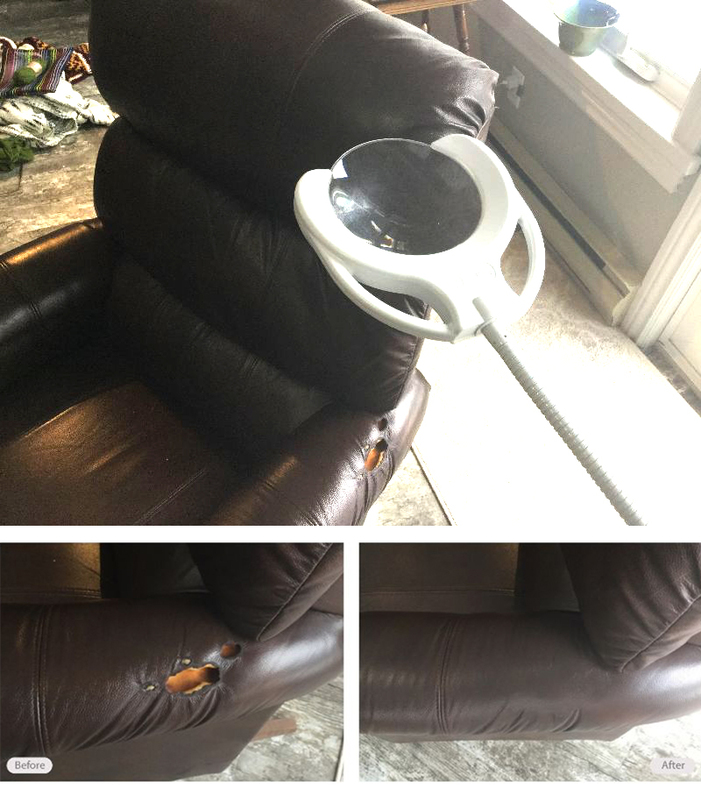 Incredibly, this client almost had their home burn down, but it was saved by the house cleaning personnel when they noticed a smoldering leather recliner! If you can believe it, the culprit was the magnifying glass in the stand next to the recliner. The client used it for reading and never guessed that leaving it out, while the sun was shining through a window, would result in the large burns in their leather chair. Suffice to say, the client is quite happy now after Fibrenew Port Perry’s work and the magnifying glass has a new opaque cover!